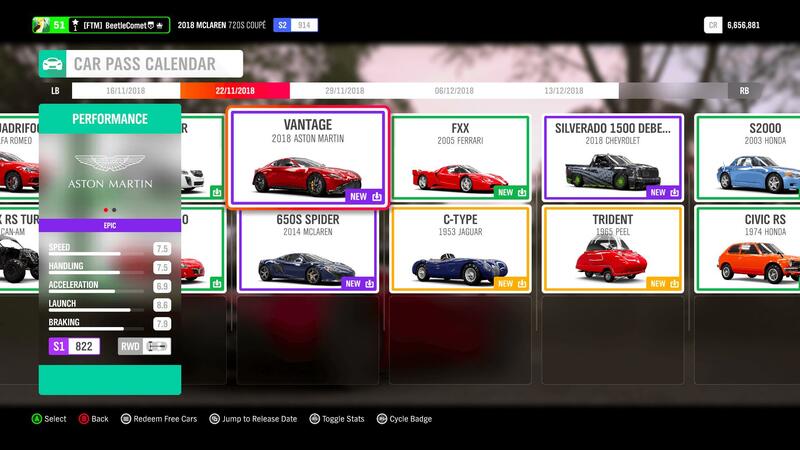 With the release of the November Update for Forza Horizon 4 derives the list of cars that will become available to Car Pass holders over the coming weeks in ‘Series 3.’ Since its release, Forza Horizon 4 Car Pass owners have received two new cars every week, an initiative that lasts for a period of 21 weeks to deliver a total of 42 brand-new cars into the game. The Series 3 Car Pass rides for Forza Horizon 4 includes a few new supercars, headlined by the 2018 Aston Martin Vantage and the classic 2005 Ferrari FXX. There’s also a new custom ride from DeBerti Design in the 2018 Chevrolet Silverado 1500, which is joined by the classic 1965 Peel Trident – which should most certainly please all fans of the beloved Peel P50. Below, you can check out all the Series 3 Car Pass rides for Forza Horizon 4, including their official release date. Once available, you’ll be able to add these cars to your in-game garage at no additional cost. In addition to the above Car Pass rides, Forza Horizon 4 will also introduce a selection of new exclusive cars. These are available to all players at no monetary cost and can be acquired from either the Forzathon Shop or by completing designated Seasonal Championships. They can also be purchased from the Auction House, usually at a high price tag due to their rarity, but they will also be added to wheelspins in the future. 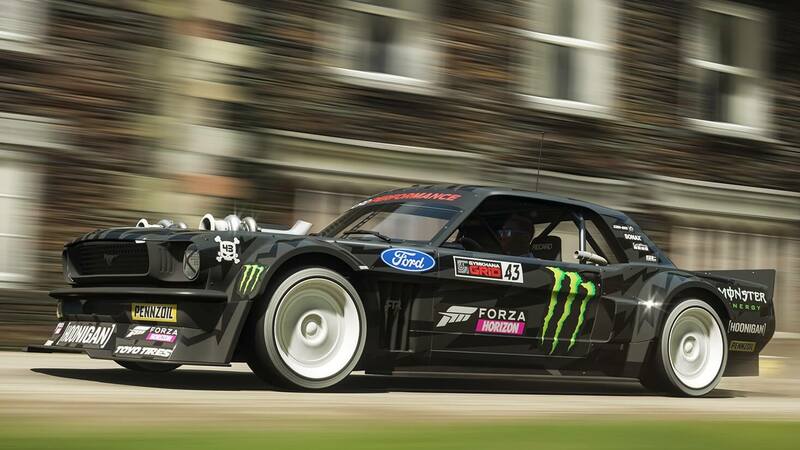 This month’s exclusive cars have yet to be revealed – we’ll be sure to update this story once we have the full list, but we do know they’ll include two bespoke Hoonigan vehicles that appear in Ken Block’s Gymkhana 10 film. They are the 2017 Ford Fiesta ST, which is slated to drop on November 22nd, and the 2016 Ford Focus RS RX, which is penned in for a December 6th release. Both rides should be available to acquire from the Forzathon Shop using Forzathon Points acquired by completing in-game challenges – including Daily, Weekly and Forzathon Live events. The November Update is available now for Forza Horizon 4 on Xbox One and Windows 10 PC. In addition to new cars to collect, race and customize, it includes new features to help personalize your ride. This includes the ability to paint subsections of vehicles and wheel rims, as well as 41 total new rims from 22 aftermarket brands. There’s also the Horizon Racing Cup, a new series offering a prize pool of 3.6 million credits that challenges players to choose their best ride wisely, upgrade and tune it to meet set-out restrictions and beat Drivatars or real-world opponents to claim the most credits possible. Additionally, the November Update also includes a series of bug fixes and improvements, designed to improve the overall Forza Horizon 4 experience – you can read more about those in our dedicated article for the Horizon Service Check!